Amanda joined the team in our Sales Department at Tri-City RV in 2013. She enjoys helping customers find just-the-right camper that fulfills their needs. She also loves teaching families how to use all the features on their new camper so they can enjoy countless adventures, trips, and vacations. 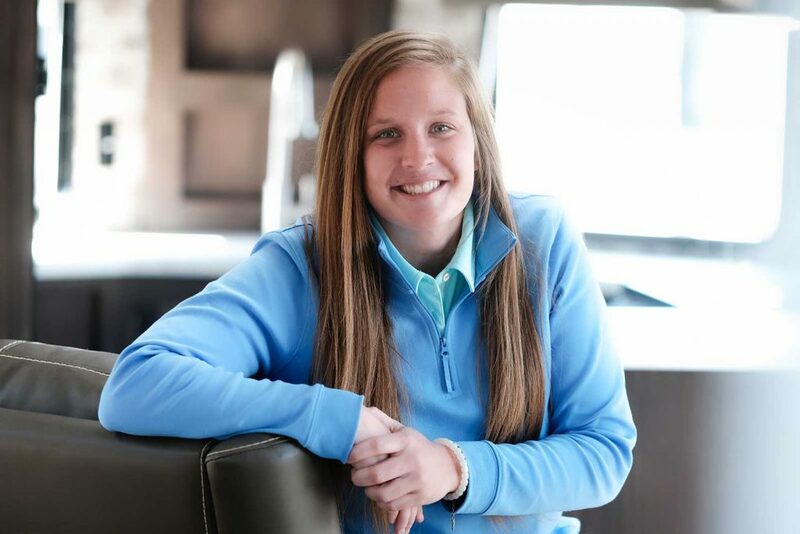 In her free time, Amanda enjoys traveling, golfing, and relaxing with friends and family. What I enjoy about camping is disconnecting from the real world. What I enjoy about the RV industry is watching the products change and improve throughout each year. I also love seeing more families get involved in camping. The best meal I’ve had while camping was fresh-picked blueberry pancakes cooked to perfection in a cast iron pan. I also love chicken and steak kabobs cooked over a firepit. My favorite place to camp is off the grid, rustic camping! It’s nice and quiet. Campsites aren’t on top of each other and you can do what you want because there is no one around! Michigan has a great selection of State Land Campgrounds that turn out to be hidden gems. I cherish my freedom and the ability to express my thoughts. I’m grateful for good health, the opportunity to work with great people, along with a supportive family and friends. I’m going to work as hard as I can to make sure your RV experience is enjoyable, along with giving you upfront and honest answers. Shopping for an RV should be fun, not stressful!